I got a good chunk of my final projects done and handed in the other day and I managed to mostly finish up one of the few papers left to go yesterday so I decided to make today a little bit of a treat for myself. I -really- wanted to make this one since I knew they would have yarn and knitting things as well as quilting and other crafty-type things and I was thinking it might make sense if I went today (Friday) since it's still during the week and with work and school hopefully there would be less people there. It was -lovely- So many beautiful crafts on display and SO MANY lovely dealer stalls to paw my way through! 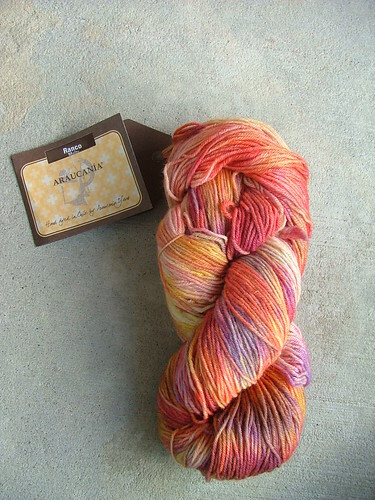 So much lovely yarn and some really incredible bargains. I've been trained very well by my mum though, I forced myself to take a walk through the whole thing to scout out what was offered where and then gave myself a strict $100 budget. Okay, I might have gone $20 or so over that budget but damn it, it's my birthday. And I managed to stretch the money a fair ways! 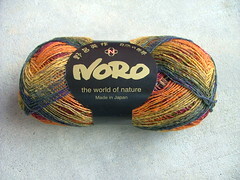 The most expensive by far was the Noro sock yarn.. and I have to say, I had to fight tooth and nail to find it! Practically every stall I came across was already sold out. But it's been something I've been drooling over for the past several weeks, and I managed to find some of my favorite color ways at reasonable prices. 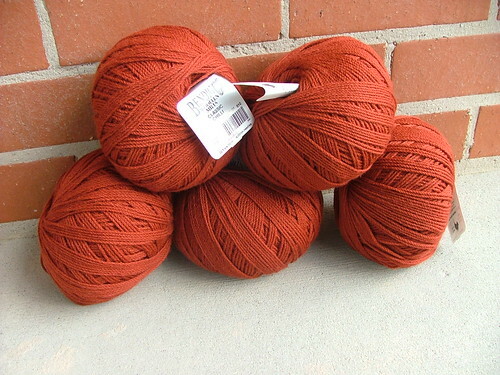 By far the best deal of the lot was five 200g balls of Bendigo Woollen Mills Classic in their Chilli shade. 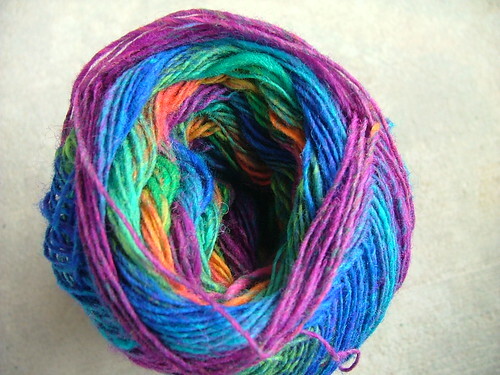 I got it for such a great price for so much yarn. 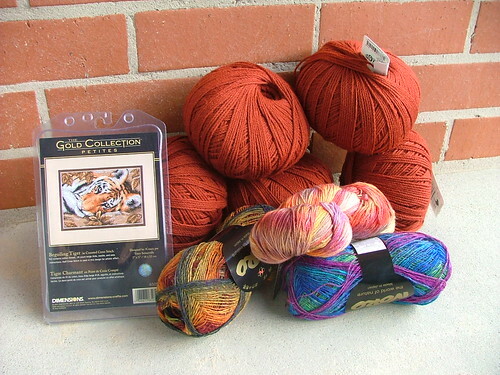 Me thinks this lot is destined to become a future Rogue sweater! 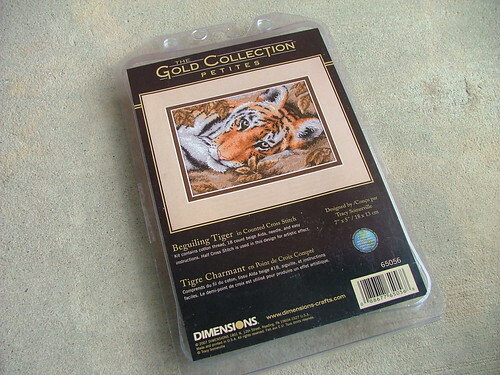 And last, but not least, on my way out I snatched up this charming little cross stitch kit. I mean really, those of you who know me - how could I resist? They even had a completed project of this kit hanging in the stall and it's absolutely beautiful finished up. Besides, cross stitching is on my 101 in 1001 list, you know! Now - back to that schoolwork! I can hear my bank account weeping from here! Hehe, thanks for that heads up gorgeous! 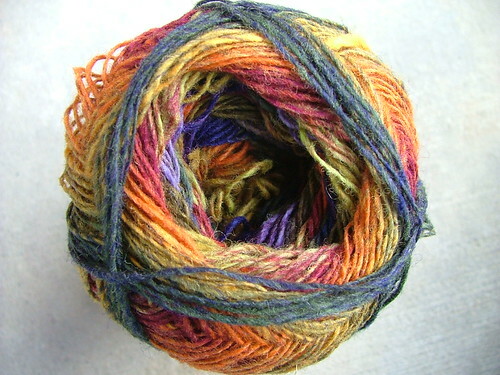 I've already cast on that top Noro for a pair of socks and the colors are indeed rich and lovely! 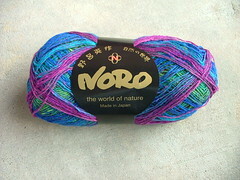 I went to this nice yarn shop on my birthday (12th), and bought a skein of Noro! and a pattern book. I was a good girl and only got one thing, although I should have got more. Love the stuff you got for your birthday. Happy happy. Tell me about it! A couple weeks ago I took a visit to the yarn shop here in Sydney and they were having an 40-80% off sale on all of their yarn(!!) I managed to walk away with not one thing , so I felt validated for splurging a little bit at the craft show. 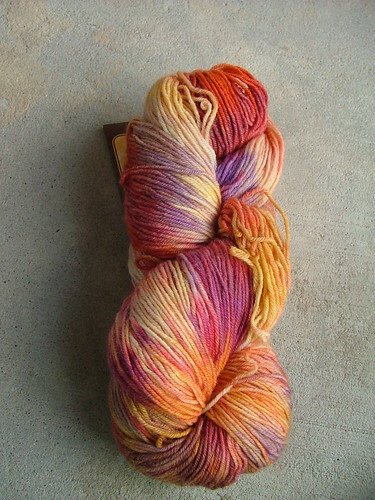 I've already cast one the first skien of Noro I got for socks and it really is beautiful, but I'm a bit worried at how thin the yarn can get in some places.